I tried to capture the meteor shower of the century this night. I happened to catch light pollution from my hometown and factory where I work on the horizon. 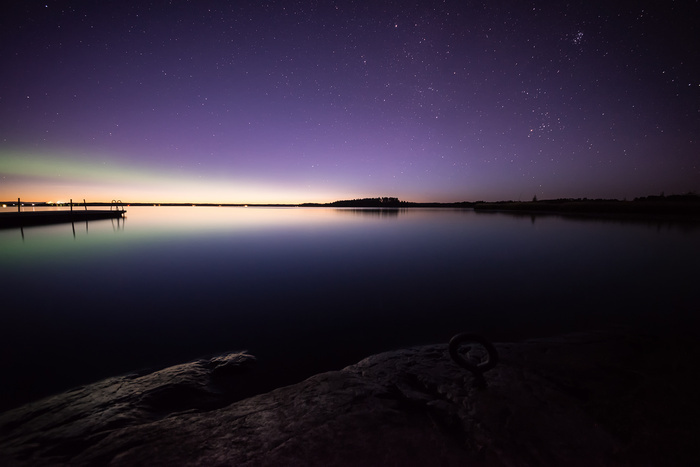 In addition, I saw later during post processing, that northern lights came in to the image. That's what I like most about long exposure. Sometimes details you never saw earlier show up and makes your image more intresting than you expected. My other hobby is astronomy. One more bit of information about your shot; that small star cluster in the upper right of the frame, called an asterism, is the Pleiades or The Seven Sisters. Nicely done! Oh that's awesome, thank you my good sir :) Astronomy photography is very fascinating. Could use an upgrade of the ol camera bag. Some new glass maybe. Do you have access to the center of our milky way from where you live? Up in the north here we only get to see the outer edge during the nights. You're quite welcome! If you mean do we see the Milky Way here, I'm sure it becomes visible, but not by much as I'm a 49 degrees north and live in Winnipeg, so light pollution precludes any chance of seeing the Milky Way. What we actually see is one of the arms of the Barred Spiral that is the Milky Way Galaxy. The actual center of the galaxy is so bright and full of dust that the only way to actually "see" the center is with exceptionally powerful telescopes or with the infrared and x-ray space based scopes or with an array of radio telescopes. I used to do astrophotography and was never really good at it, but I saved a few of my shots. 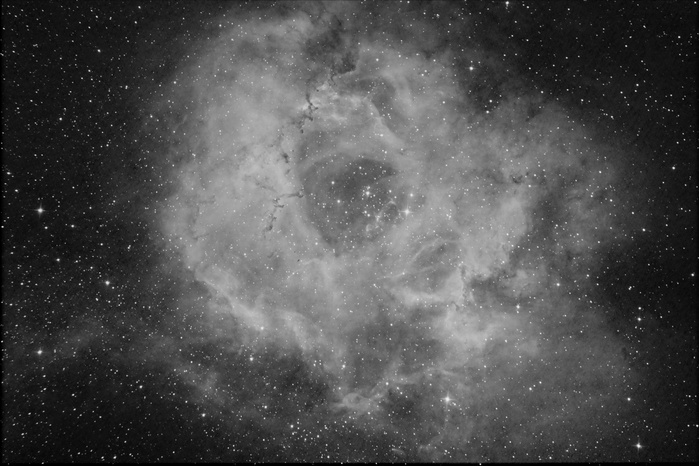 This is the Rosette Nebula shot with a Canon 40D with a Hydrogen Alpha filter to get the dust and hydrogen to stand out. The camera was attached to a telescope that I had in a backyard observatory when I lived in Southeast Louisiana, just north of New Orleans.